We call it "getting lost" in a novel, but what we find there is often more impactful than any nonfiction work can offer. Literature makes us more empathic and intelligent. Storytelling is how we bond, as tribes and a planet. A powerful narrative, like a good mythology, carries us far away from ourselves only to deliver us right back where we started, transformed. Since the European invasion that brought a host of newcomers to these shores, the American experiment has produced a lot of suffering and plenty of beauty. 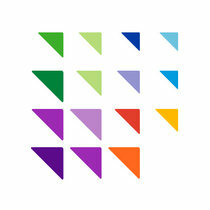 This nation leads the world in many domains, many of which are not pleasant. Yet the core principles of democracy remain an important component of who we are, even if at times like this we seem to forget what that really entails. The novels below do not comprise a "best of" list simply because there are too many books I have not read. (If you have a suggestion, please tweet at me @derekberes.) These are 10 works of literature that made an impact in my life, offering varied perspectives of what happens between the two oceans and two nations bordering us (speaking continentally, of course). Most importantly, they're all amazing books. Every Philip Roth novel is a slice of America, mostly told through the lens of the Jewish experience in and around Newark. Sure, there's something purely Americana about Seymour "Swede" Levov, a former high school star athlete squaring off in later age with adultery and mortality. The novel traces Jersey life during the cultural upheaval of the late sixties, when Swede's daughter, Merry, hides out in inner-city Newark after she killed multiple bystanders by planting bombs. Merry's character profile—an outlaw devoted to Jainism living in squalor—is one of the most fascinating in modern literature. The book is a meditation on the dissolution of the American dream in front of a family's eyes. James Baldwin is one of the most fearless writers of the 20th century. While lacking the explicit sexuality of "Giovanni's Room", "Another Country" explores bisexuality and interracial relationships in America during the imagined "Golden Era" of the 1950s. 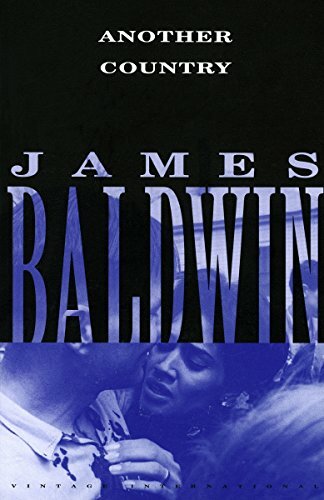 Some point to that age as the true height of American ethics and values; Baldwin exposes the hypocrisy as it happened; he started writing it in 1948 and published in 1962 while living in Istanbul. The characters grappling with jazz drummer Rufus Scott's lifestyle after his death makes for gripping and harrowing writing by a master of literature. 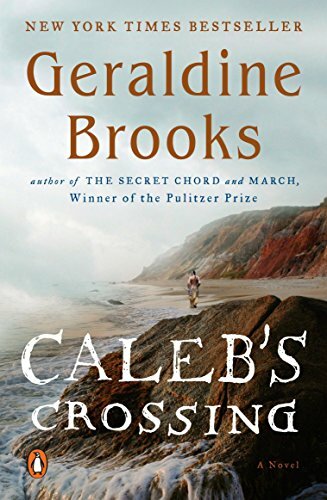 Having worked as a foreign correspondent for The Wall Street Journal, Australian-American writer Geraldine Brooks turned to novels in 2001. Her deep working knowledge of international history informed her fiction, including this gorgeous tribute to Caleb Cheeshahteaumuck, a member of the Wampanoag tribe on Martha's Vineyard. Cheeshahteaumuck lived a life of integrity and tragedy. The first American Indian to graduate from Harvard in 1665, he died less than a year later of tuberculosis. Brooks' retelling transports the reader to the challenges of the earliest years of the American experiment, dealing with many issues of immigration and citizenship that sadly remain with us today. How to choose one work from the primary voice of Depression-era America? "East of Eden" is always a reflexive choice. Yet there's a beautiful tenor in this much simpler tribute to the citizen of Cannery Row. 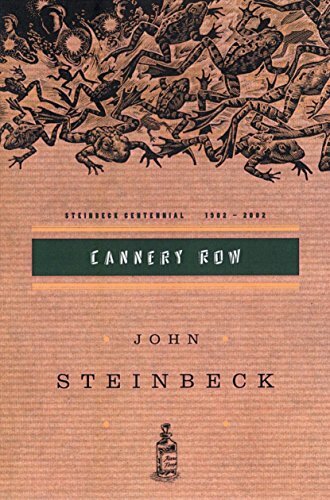 Set amidst sardine canneries in Monterey, California—the city renamed the street in honor of the book's title—the story focuses on a culturally diverse cast of shop owners, town elders, and a marine biologist. A party for the biologist, Doc, ends in disaster, but the deeper narrative identifies the pain points of trying to survive in uncertain times—a recurring occurrence seemingly tailor-made for this current era. Globalization in the 1980s serves as the foundation for this dizzying tale of a New Englander and Haitian converging in Florida. 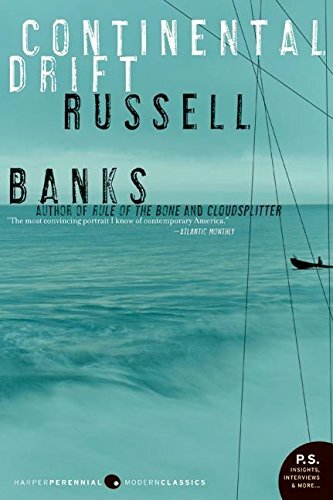 Banks' novels pick up where Steinbeck left off; most any of his books could make this list, especially the tour de force about John Brown, "Cloudsplitter". Yet "Continental Drift" identifies the primacy of the American illusion in passages such as this: "Only, like Columbus and all those guys looking for the Fountain of Youth, when you finally get to America, you get something else," as well as: "You'll get to America, all right, kid, and maybe, just like me, you'll get what you want. Whatever that is. But you'll have to give something away for it, if you haven't already. And when you get what you want, it'll turn out to be not what you wanted after all, because it'll always be worth less than what you gave away for it." 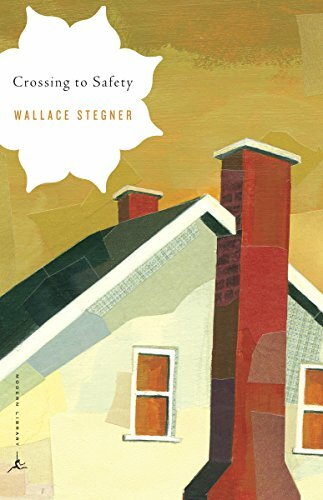 The Pulitzer Prize-winning "Angle of Repose" will always be first to mind when discussing Wallace Stegner, but this aged and wise last novel is also a classic. 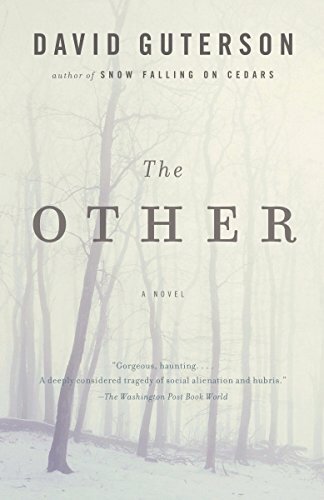 Stegner tells a slow tale of two couples summering together over the course of decades, a review of their triumph and losses, of friendship and love and death. In just over 300 pages, you live a number of lives, tracing the idealism of youth transforming in the bitter pill of hardship and aging. "Crossing to Safety" is one of those novels where not much and everything occur simultaneously, a stunning tribute to the mythology of the mundane. 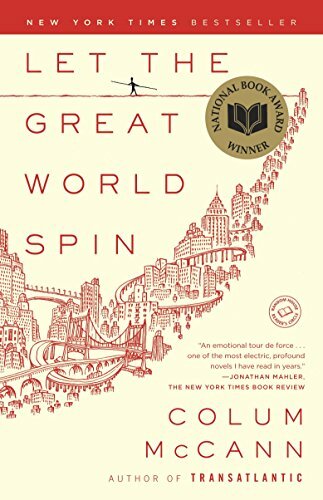 This dizzying, intersecting tale, as rich in connections as "Cloud Atlas", hinges around Phillippe Petit's famous tightrope walk between the Twin Towers. Most fascinating is McCann's ability to speak in multiple voices when switching between stories. The Irish writer consistently chooses fascinating topics to write about, such as sandhogs—the men who burrowed underneath New York City to build the subway system—and the persecution of Romani culture during World War II. McCann invokes an incredible amount of empathy for characters in New York ghettos in the seventies without losing any of the culture and music of the time. This is probably the most heartfelt book on friendship I've ever read. American novelist David Guterson, most well-known for "Snow Falling on Cedars", is one of the Pacific Northwest's greatest biographers. The plot of "The Other" occurs in the Seattle area in 1972, when Neil Countryman and John William Berry meet for the first time. 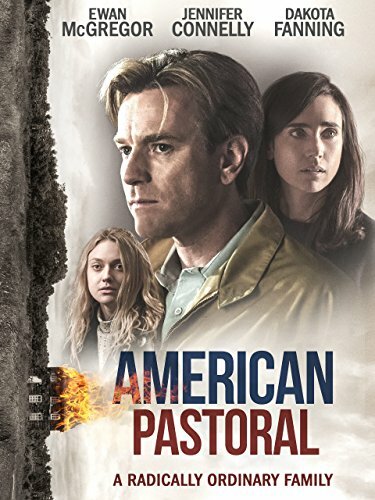 Countryman chases the American dream (as his name suggests), while Berry decides to forgo society to live in the woods, completely off the grid. The scene in which Countryman reminisces over being taught to shave with cold water has stuck with me all these years later—the intimacy of friendship, and, as the novel progresses, the wrestling with transience we call encounter. At some point in the near future we will all have to grapple with the effects of climate change. For millions that day has already come. Richard Powers investigates what humanity has lost by disconnecting to the environment with this breathtaking exploration of our relationship with trees. 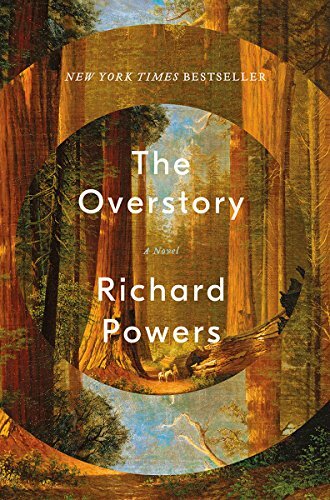 "The Overstory" is one of the most expansive queries into the human condition I've ever read, powered by Powers's beautiful storytelling. You're transported to a time before the comforts and treachery provided by modern convenience. We will give up little until forced to do so; read this as a cautionary tale. 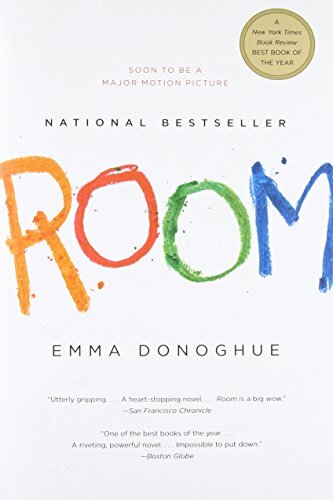 While this story could have occurred anywhere (and often does), Irish-Canadian author Emma Donoghue's book is centered in Akron, Ohio (at least in the film version). Beyond geographical location, "Room" drives to the center of feminine fear. Ma and her young son, Nick, are held captive by Old Nick, trapped in Room (a soundproofed shed in his backyard). The family's entire universe is Room, which is visually startling when you see them escape in the film in a suburban neighborhood (and even more wrenching in your imagination when reading the book). Such a tale might be an extreme, but the entire book hits home for any experiencing sexual abuse and the ravaging that occurs in the victim's mind.